FREE Shipping & 50% OFF for Limited Time. It is hard to cook anything in the microwave and get the perfect food. Often they are overcooked or undercooked making it useless to eat. Jiffy Fries is a 2-in-1 tool that lets you slice a fresh potato and then make oil-free french fries from it, all within just a few minutes. Best of all, they turn out to be crispy, and a whole lot healthier since you're not using any oil to deep fry it. No need to wait much longer to make fries in the oven, nor will you get greasy unhealthy french fries from a fryer. You'll also save time by not having to peel each potato. Just place a potato above the slicer, put the top on the device and push it down, then just insert it into the microwave to cook your french fries. 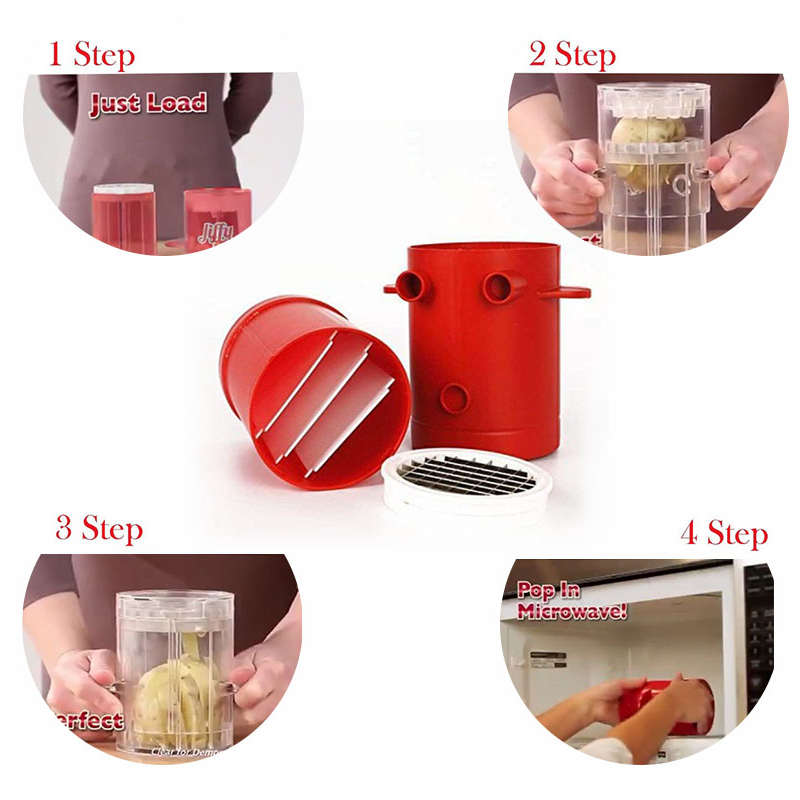 With the Jiffy Fries 2-in-1 french fry maker, you can not only make french fries, but it's also great for sweet potato fries, zucchini fries, onion fritters, apple fries and many more. After taking your fries out of the microwave, you can then mix and match with different spices and ingredients such as cheese, basil, and more, depending on your taste preferences. Once done throw them in the dishwasher and clean it easily. Made of food-safe silicone without BPA, safe and non-toxic. 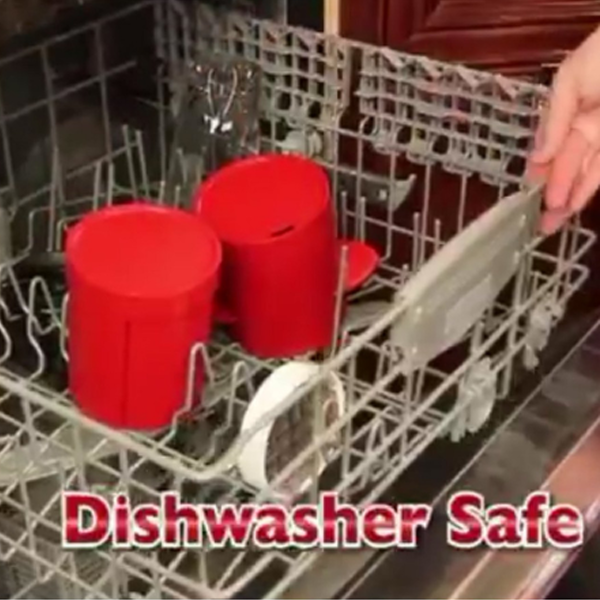 Dishwasher Safe and durable construction.